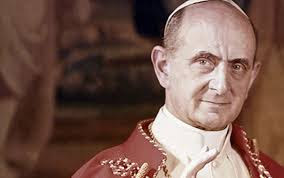 Because everybody seems to be weighing in with their opinion on the canonization of Pope Paul VI two weeks ago, I have put together an essay, "Argument for the Infallibility of Canonizations", on the Unam Sanctam Catholicam website addressing some of the speculations I am seeing. It is not so much my own argument as it is a synthesis of others. It does not address Paul VI directly but rather examines the theological arguments in favor of the infallibility of canonizations, an argument to which I adhere. I completely understand the frustration, confusion, anger, and exasperation of many of my fellow Catholics on this topic. Many of them, people I admire and count as friends, have taken a different position and argued that this canonization is invalid. I do not at all doubt their good intentions. I wish them the best, but I cannot follow along in that conclusion. I remember how vehemently I argued against (what I still take to be) the rash and imprudent canonization of John Paul II. But he has been canonized nonetheless, and I accepted it and moved on. That's what I am doing with Paul VI. 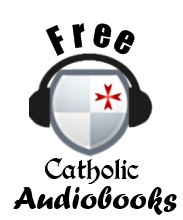 If the Church ever decides to suppress the (non-existent) cultus of Paul VI, I will accept that as well. I still think Paul VI was a sub-par pope—and that's being charitable. 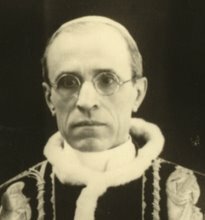 Ideally, a canonization is supposed to be not only a declaration that so-and-so is enrolled among the saints, but that the manner of their life (and how they carry out the obligations relevant to their state in life) is worthy of imitation. 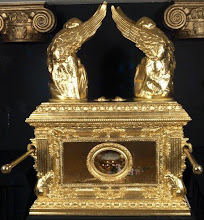 This has never meant that every thing a saint does has had to be approve; canonization was never meant to be the canonization of a saint's every word and deed. 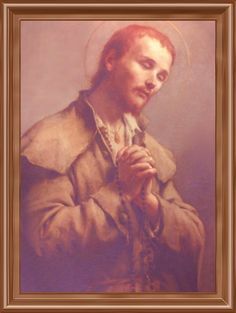 But, to borrow the language of the Catechism, it nevertheless was meant to identify that saint's life as a "sure norm" for Christian living. That aspect of canonization has been totally compromised due to the canonization of "mixed bag" sort of popes who, though they may have had a deep personal piety worthy of admiration, nevertheless left a lot to be desired in their exercise of public office. The bar is supposed to be very high. 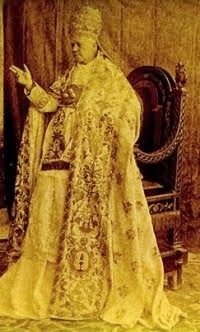 There is a reason why only two popes from 1566 to 1914 had been canonized. Even so, I personally am not willing to cast doubt on the certitude of Church's entire process of canonization rather than accept that one man has been declared a saint. I understand that others are, but that's not a line I am going to cross. It's much more reasonable for me to shrug and say "Well, Paul VI is a saint now" than to try to argue that canonizations are not infallible or that Francis is not really the pope. And make no mistake, if you argue against this canonization, those are the only two alternatives: either none of the Church's canonizations are certain, or Francis is not pope. In my opinion, both of those assertions put you out in la-la land. Maybe you want to say, "No, Boniface, I'm not casting doubt on all canonizations, just those after a certain date." Okay, when? Was it 1965 at the close of the Council? Or 1969 when Paul VI began tinkering with the methodology of canonization? Was it 1983 with the publication of Divinis Perfectionis Magister, the document of John Paul II which created the current process? When do you cut it off and why? 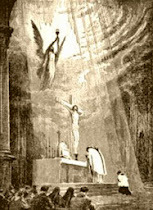 And if canonizations were not always possessed of infallible certitude, then pray tell when did they become infallible? Was it in 1170 when Pope Alexander III declared canonizations reserved to the Holy See? If we insist on the procedural argument, it's important to note that Alexander III did not institute any new procedures in 1170; he merely translated the jurisdiction of canonization from local bishops to the Holy See, so if we hang our hats on the date 1170 based on a procedural argument, no new procedures were instituted then. They came in gradually later, piecemeal, here a little, there a little. The rigorous process we associate with the pre-conciliar methodology did not become completely standardized until the 1750's. But maybe 1170 is not our date. Perhaps it was when the role of the Devil's Advocate was first utilized by Leo X (1513-1521), or was it when the office of Promoter Fidei was formally established in 1587? Was it in 1634 when Urban VIII reserved the entire process, including beatification, to the Roman pontiff? Was it in 1588 when the Congregation of Rites was established, or perhaps in 1607 when the Promoter Fidei (Devil's Advocate) was made the supreme official of that Congregation with authority over scrutinizing beati? 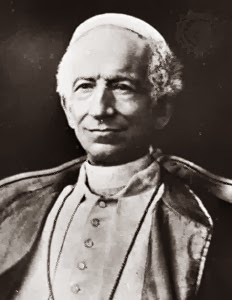 Was it during the late 1700s when the excellent principles of Prospero Lambertini (Pope Benedict XIV) enunciated in De Servorum Dei Beatificatione et de Beatorum Canonizatione became the norms of the canonization process? Who knows? 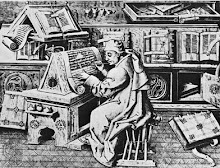 The fact is, if we argue that canonizations only became infallible at a certain time or only lost their certitude at a certain time, we are left with totally arbitrary, subjective determinations of when, how, and why; subjective determinations that solve no problems, answer no questions, and leave the entire canonization process open to skepticism. So yes, I am shrugging and moving on. 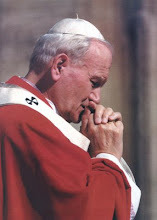 That's how I handled the canonization of John Paul II, and I have to say, it was not damaging to my faith at all. Ultimately, I am just a lay person and the Church's solemn judgments have more authority to me than my own subjective opinions about a person.